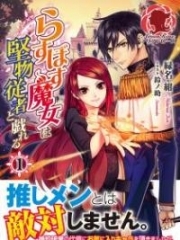 You’re reading novel King of Gods Chapter 298 - Water Moon Pirate online at LightNovelFree.com. Please use the follow button to get notification about the latest chapter next time when you visit LightNovelFree.com. Use F11 button to read novel in full-screen(PC only). Drop by anytime you want to read free – fast – latest novel. It’s great if you could leave a comment, share your opinion about the new chapters, new novel with others on the internet. We’ll do our best to bring you the finest, latest novel everyday. Enjoy! The shaking started to calm down. The third floor of the giant coffin. Everyone was dead silent as they stared at the Mystic Flower Treasured Bible in Zhao Feng’s hand. There was a crack on the Mystic Flower Treasured Bible that seemed like it would explode at any time. The Fan Flying Bandit roared with red eyes. It was a holy item of the Wicked path and it was now going to be destroyed? The Severed Blood Bald Eagle, azure robed daoist, flower dressed beauty and company were all tense. Being a Wicked martial art, the Mystic Flower Treasured Bible took Yin to replenish Yang and it could increase cultivation levels quickly. This was the foundation of the Water Moon Pirate. “You… are you really going to destroy it… ” Heiyun Master said in disbelief. He never would have imagined that Zhao Feng had the decisiveness to try and destroy the Mystic Flower Treasured Bible in one punch. Bi Qiaoyu’s eyes were full of tears as she looked at the youth in front of her. She had already decided to sacrifice herself to allow the other’s success, but Zhao Feng’s actions had shocked everyone. If the Water Moon Cave crumbled, then let it crumble. After the evolution of the G.o.d’s Spiritual Eye, Zhao Feng became colder and more dominant, doing things without caring too much about the consequences. The blue in his left eye seemed like a ice pond. Lightning flashed in Zhao Feng’s palm as the Mystic Flower Treasured Bible was shredded into pieces. After destroying the Hundred Flower Sack, Zhao Feng had also destroyed the country-shocking skill - the Mystic Flower treasured Bible. Of the four Water Moon Four Treasures, two had been destroyed by Zhao Feng. The Fan Flying Bandit was dazed as limitless rage and hatred exploded from him. A streak of blood appeared from the corner of his mouth. All his plans and calculations, the Hundred Flower Sack and Mystic Flower Treasured Bible had been destroyed by this youth in front of him. Master Bi couldn’t even breathe properly. Severed Blood Bald Eagle, the azure robed daoist and company were all dazed. If he was correct, all the main mechanisms were on the Mystic Flower Treasured Bible. The Water Moon Cave and Purple Bronze Coffin started to shake once again, causing them to be put off balance. A long laugh sounded throughout the entire Water Moon Cave. Everyone’s heart skipped a beat - the voice didn’t belong to anyone here. The youth wearing the brocade shook as he looked at the crystal coffin. The long laugh had came from the crystal coffin. The Water Moon Pirate’s corpse had once again ‘Reformed from the Past’ and gave off an aura not much different from the True lord Rank. The Fan Flying Bandit and flower dressed beauty both kneeled on the ground with fear and shock. The Water Moon Pirate slowly rose and the aura of life from his body increased. The Fan Flying Bandit and company were stunned. Zhao Feng found this hard to believe. Was it really possible for the Water Moon Pirate to return to life? Heiyun Master was also stunned as he stared at the Water Moon Pirate, who seemed no different from a normal man. The Water Moon Pirate’s eyes contained wisdom, it wasn’t just a normal Reformation of the Past. Slyness flashed in the Water Moon pirate’s eyes and Master Bi and Severed Blood Bald Eagle’s expressions were slightly ugly. So everything was made by the Water Moon pirate. The two people that escaped, the map and the news of the Blood of Yin. Mockery appeared on the Water Moon Pirate’s face. The Water Moon Pirate was extremely famous and he did as he pleased. Such an achievement made others jealous. The Water Moon Pirate took a deep breath with a different expression. His gaze swept across his disciples, then it landed on Zhao Feng. The Water Moon Pirate locked onto Zhao Feng. The Water Moon Pirate looked deeply at Zhao Feng. One light, one dark, two setups. One was to continue the inheritance and one to surpa.s.s the inheritance. Of the two, the latter was more important. Hearing this, the hearts of everyone skipped a beat and the Fan Flying Bandit was embara.s.sed. His mindset was only to continue his Master’s inheritance. Only those with true charm such as this youth would be able to activate the Water Moon Pirate’s true set up. “Master, how come you’re alive again?” The flower dressed beauty asked carefully. The Water Moon Pirate explained and Zhao Feng did find that the life of the Water Moon Pirate was starting to flow away, like a person before their death. This secret technique was to take the ‘life’ before their death and move it to another ‘timeslot’, so it didn’t go against the laws of Heaven and Earth. Knowing the truth, the three True Spirit Realms all let out a breath. If the Water Moon Pirate had really returned to life, the three of them might not even be his match. Heiyun master was full of praise. With a flash, the Water Moon Pirate disappeared and then reappeared in front of Zhao Feng at the next instant. He slowly rose his hand. Zhao Feng didn’t feel any enmity and faced the Water Moon pirate. The Water Moon Pirate’s life was fading and Zhao Feng wasn't scared to use secret mental energy techniques to steal his body. The Water Moon pirate reached out and patted Zhao Feng as a wave of pure energy rushed into the latter’s body. The expressions of the Fan Flying Bandit and company changed. The Source of True Spirit was the foundation of the power of those at the True Spirit Realm. It was where the Qi of True Spirit stayed. The Water Moon Pirate’s cultivation was close to the True Lord Rank and although he was sealed for a hundred years and there was some energy lost, it was still more powerful than a normal True Mystic Rank. Zhao Feng didn’t move and he used his G.o.d’s Spiritual Eye to detect the changes in his body. The Water Moon pirate didn’t directly merge his Source of True Spirit into Zhao Feng’s body as it would shake the latter’s foundation. He first used his Source of True Spirit to cleanse Zhao Feng’s body and open up his meridians. Then he sealed most of the energy into the depths of Zhao Feng’s dantian. This seal was extremely mysterious and it could turn the energy into a different form. Zhao Feng felt that his Qi of half step True Spirit had reached 50% and it wouldn’t destabilise Zhao Feng’s foundation. Firstly, Zhao Feng’s mental energy level was high enough, so it was possible for him to even control the Qi of True Spirit if the quant.i.ty wasn’t large. Secondly, the Water Moon Pirate had opened up his meridians, dantian and body attributes. “Your mental energy is so high! If you’re willing, I can help you break through to the True Spirit Realm.” The Water Moon pirate said joyfully. Zhao Feng’s voice sounded in the Water Moon Pirate’s mind. Only walking step by step himself with a strong foundation would he feel safe. Soon, the Water Moon Pirate’s Source of True Spirit was sealed in Zhao Feng’s body and Zhao Feng’s Qi of half step True Spirit reached 50-60%, surpa.s.sing Heiyun Master’s. At this moment in time, 80-90% of the life from the Water Moon pirate’s body had faded. “There’s still one more secret. Don’t resist with your mental energy.” The Water Moon Pirate’s voice sounded in Zhao Feng’s head. Zhao Feng controlled his mental energy and a source of information went into his mind. This information were related to the Heaven’s Legacy Inheritance and included some mechanism scripts and a map. “Heaven’s Legacy map!” Zhao Feng was shocked and almost said aloud. “This was stolen from the Imperials. There’s a total of 48 scripts and each script will contain some secrets of the Heaven’s Legacy Inheritance.” The Water Moon pirate explained. After doing all this. the Water Moon pirates’ eyes dimmed as his lifespan reached its limit. “Master.” The Fan Flying Bandit and flower dressed girl said respectfully. Although the Water Moon pirate had died, their Master’s dignity was not to be gone against. After saying this, the Water Moon Pirate’s life span ended and he closed his eyes. The entire Water Moon Cave suddenly started to shake and sink downwards. A large s.h.i.+ning green bronze door appeared on top of everyone. The youth wearing the brocade and flower dressed girl half kneeled on the ground as disdain and coldness flashed through their eyes. They had obviously not put the Water Moon Pirate’s will and advice to heart. 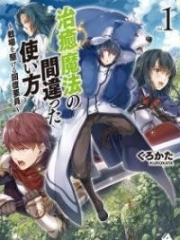 You're reading novel King of Gods Chapter 298 - Water Moon Pirate online at LightNovelFree.com. You can use the follow function to bookmark your favorite novel ( Only for registered users ). If you find any errors ( broken links, can't load photos, etc.. ), Please let us know so we can fix it as soon as possible. And when you start a conversation or debate about a certain topic with other people, please do not offend them just because you don't like their opinions. You're reading King of Gods Chapter 298 - Water Moon Pirate. This novel has been translated by Updating. Author: Fast Food Resturant,快餐店 already has 9592 views. Current Time is Apr-23-2019 22:23:43 PM.